LYON WOODSTOCK insists he would jump at the chance to fight British super-featherweight champion Sam Bowen if he was given enough notice. 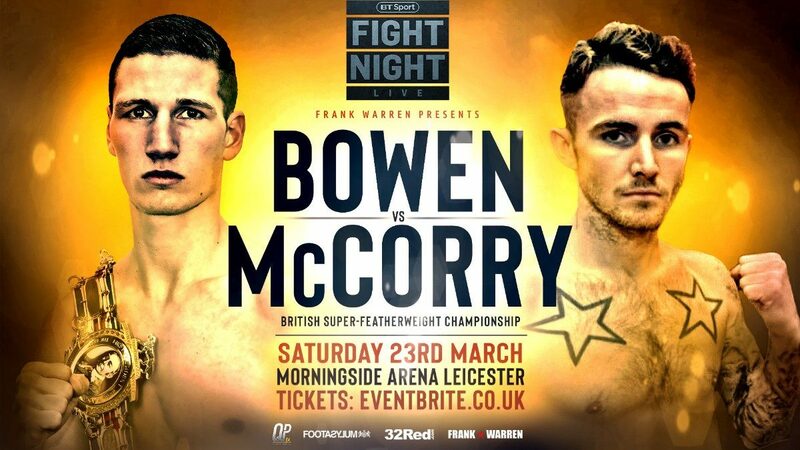 The bitter local rivals are both in action at Leicester’s Morningside Arena on Saturday night, when Bowen makes the first defence of his domestic title against Jordan McCorry, live on BT Sport. Woodstock is on the comeback trail after losing his unbeaten record to fellow prospect Archie Sharp in the same ring last October. Bowen’s team have accused Woodstock of previously turning down the chance to challenge Bowen last month. Woodstock blames the lack of notice, and snapped: “It was two weeks’ notice, come on man. “What smart person that rates themselves in any kind of way is going to take a 12 round British title fight at such short notice? “I am not selling myself short. I know my worth, what I have come here to do and what I am about. Frank Warren promotes both boxers and seems certain to match the feuding fighters who live just 13 miles apart against each other in the coming months. “It didn’t materialise and it is what it is, but the British title is my goal whether he has got the belt or it is vacant. Woodstock is back in action at the Morningside Arena in Leicester on Saturday night in support of the British super featherweight title clash between the champion Sam Bowen and Scot Jordan McCorry. CJ Challenger and Kyle Haywood fight for the vacant Midlands Area super welterweight title takes place on the same bill. Among the other stars in action include Tommy Fury, Nathan Gorman and Sam Maxwell.